I am still painting Crossbowmen. Nearly finished this lot, then two more to go. I think I am getting better and maybe a little faster. 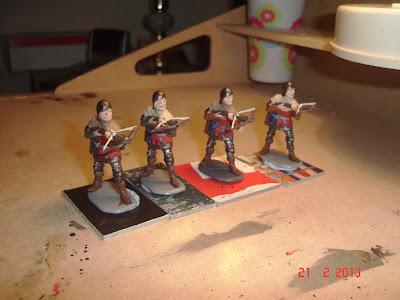 Thinking about what to have a go at after the 54mm medievals are done. It's Mine, my own Precious.